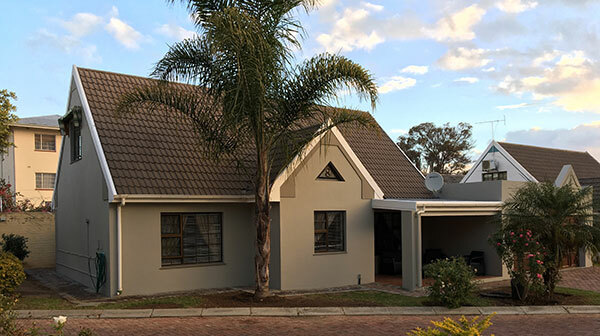 For accommodation in Oudtshoorn that offers peace and tranquility while being within walking distance of the central business district, you need to look no further. Oewer Palms View is named for the spectacular view overlooking the Grobbelaars River, which runs through the property, and extending over the imposing Swartberg Range. 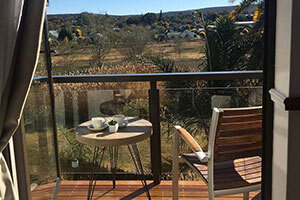 Oewer Palms View offers both Bed and Breakfast and Self-catering accommodation options. 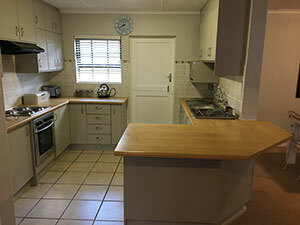 There are four Bed & Breakfast rooms all of which have en-suite bathrooms, air condtioners, WiFi, electric blankets and coffee/tea making facilities. The Blue Room has 2 single beds and is the ideal choice for friends travelling together or for older kids travelling with their parents. The Orchid, Light and Grey Rooms are double rooms and all boast private patios. 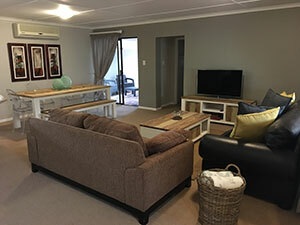 The 3 Bedroom Self-catering unit is situated inside the peaceful Oewer Palms Complex and is the perfect quiet, tranquil environment to relax and enjoy the company of good friends and family. The self-catering unit sleeps 6. There are 2 double rooms and one twin room. 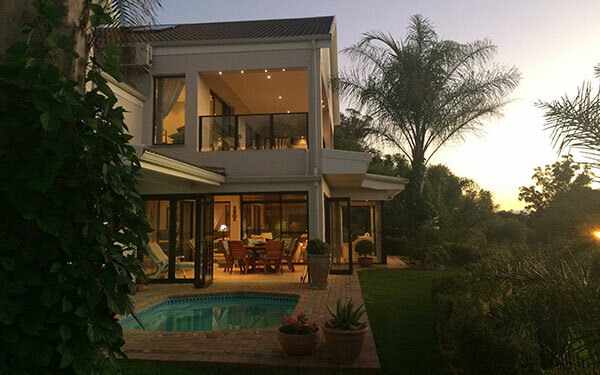 It has a spacious courtyard with a fireplace and an outside dining table. 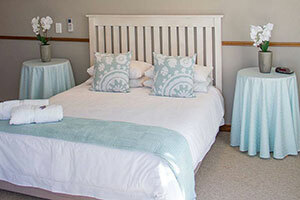 Both bed and breakfast and self-catering guests have access to the swimming pool. There are many, varied 4x4 trails in the Klein Karoo, easily accessible from Oudtshoorn.